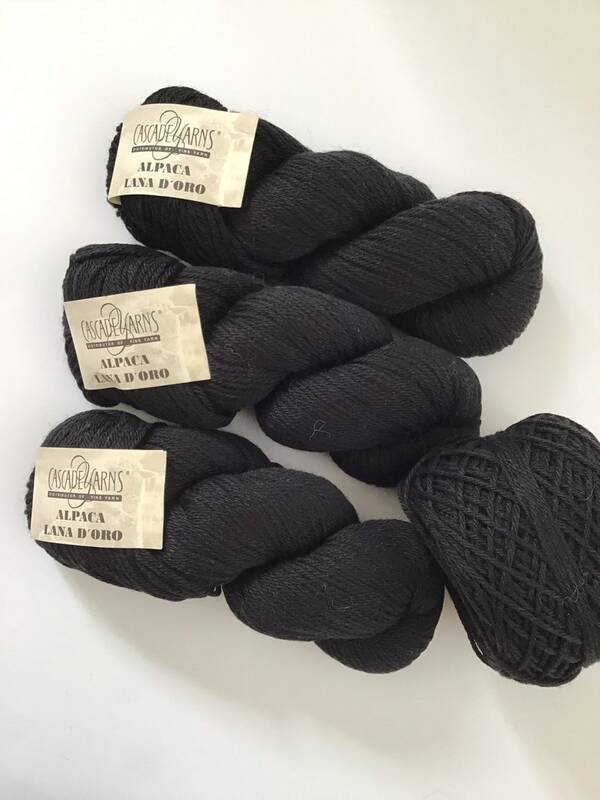 Yarn destash 4 skeins of Cascade Yarns Alpaca Lana D’oro in black. Same dye lot. This is a nice, soft yarn. Yarn destash sales are final. Photos were taken in natural light. Colors on screen may vary slightly from in person. Shipping is calculated. Shipping charges that are $1 or more over actual costs will be refunded.